Brendan Rodgers does not want Mario Balotelli in his team. He will not pick Balotelli because he does not believe his presence benefits Liverpool in their current structure. Neither does he believe that Balotelli works hard enough on the training ground or out on the pitch. Instead he would rather play with no forwards at all, like against Bolton Wanderers in the goalless FA Cup fourth round tie on Saturday, and gamble on the fitness of Daniel Sturridge who could return on Tuesday against Chelsea in the Capital One Cup semi-final second leg. Rodgers turned the post-match press conference cannons at Balotelli, a player who was not even selected for the matchday squad. It was astonishing in the sense that the Reds boss let the world in on what he really believes about his €20 million forward. Managers are usually encouraging their players in the press and giving them confidence. Not so with Rodgers on Balotelli. He pointed out all that the Champions League winner could not do. As a method of coaxing the best, psychologically, from his man it was curious. He could, and did, have Balotelli fit and ready to play but will continue to shun him. Instead he will put all his trust in Sturridge. 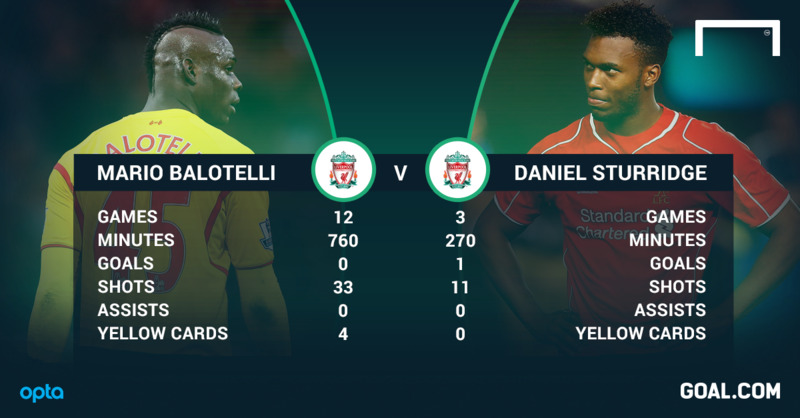 It would not be a surprise to see Sturridge play every game from here on in for Liverpool while Balotelli plays none. The Merseysiders have had a gaping striking problem all season long due to the sale of Luis Suarez and the injuries suffered by Sturridge. Although the England man has been out of action since August, he is a safe bet to lead the line before Balotelli. Liverpool played well enough to win the match on Saturday against Bolton but came up against a goalkeeper in Adam Bogdan who had the game of his life. Without exaggeration, he made four world class saves and plenty more besides to keep the match scoreless. Rodgers picked holes in his side’s finishing ability once the game was over but there is no doubt that the re-introduction of Sturridge would sharpen the attack. Not only would the former Chelsea forward’s return come as a boost at this stage of the season, it is simply a necessity that he comes in and picks up where he left off. “He starts training tomorrow with the team,” Rodgers revealed as much to the press as to Balotelli. “He’s in his final rehabilitation with the medical and sports science guys today. “He joins in with the group now and it’s just about getting football fitness and game fitness. We’ll see how he is for Tuesday. That Sturridge would be thrust into such a high-stakes fixture on two days’ training while Balotelli is forced to use it for study into the reasons why he isn’t being played speaks much about what Rodgers has in mind for the rest of the season and beyond. It is Sturridge upon whom he is pinning Liverpool’s hopes. Moreover, he would rather play no striker against Bolton than play Balotelli. Rickie Lambert and Fabio Borini started on the bench with Philippe Coutinho, Raheem Sterling and Adam Lallana taking it in turns to rotate around a nominal centre forward position. There is no doubt that Liverpool are playing better since switching to a three-man defence and a wing-back system. He explained how vital it was, however, that the work ethic from the front players remained high. The mid-season break at home in Jamaica offered to Sterling illustrates just how hard these players are working. The simple matter of the fact is that the manager does not trust Balotelli. Along with that, with solidity now finally assured, Liverpool have an Anfield problem. They have only won one game there in their last six. Their suspect defending has been addressed and now it’s time to realign the forwards. “He probably sees the real Liverpool over these last six or seven weeks and he understands just what is required to get into the team,” said Rodgers. The fixture list is piling high for Liverpool. There is the Capital One Cup, an FA Cup fourth round replay, travel to and from Istanbul for a Europa League tie against Besiktas and an intensive Premier League programme to contend with. It speaks volumes that Rodgers would trust a forward who has not played since the opening month of the season to do this intensive pressing and not one who he admitted is fit and ready for selection. “You see the pressing in our game, the aggression in our game. If you can’t do that, then you’re not going to be part of what this team is trying to achieve,” said Rodgers. It does not bode well for the future of Mario Balotelli at Anfield. Bigger managers than Rodgers have washed their hands of the Italian and he might well be joining a list which now includes Jose Mourinho, Roberto Mancini and Antonio Conte. Rodgers needs all the help he can get. Just not from Mario Balotelli.